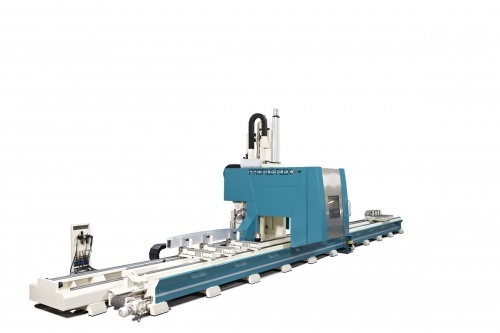 A 5-axis machine equipped with a high-speed spindle motor which can mill, drill, tap and saw tubes, profiles and extrusions in aluminum, steel, wood, vinyl and composites. 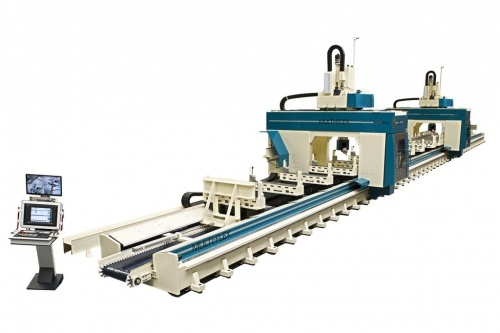 A machine especially suitable for panel and profile machining (side walls, roofs, chassis, beams) for various types of railway passenger cars, high-speed trains and subway cars. 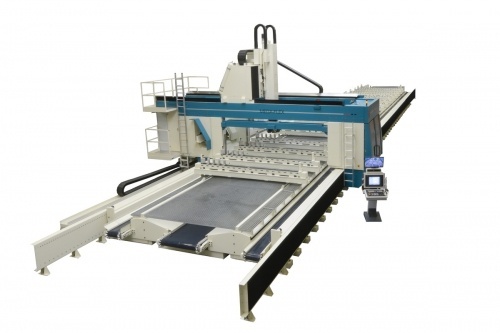 A 5-axis gantry Mega-Flex Single Head with second X especially suited for panels and profile-matching. 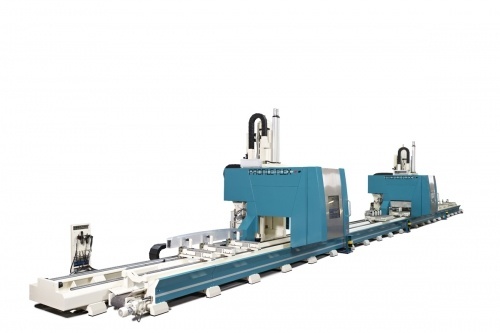 The machine can handle workpieces and profiles from 10 up to 30 m.
A 5-axis gantry Mega-Flex Twin Head with second X especially suited for panels and profile-matching. 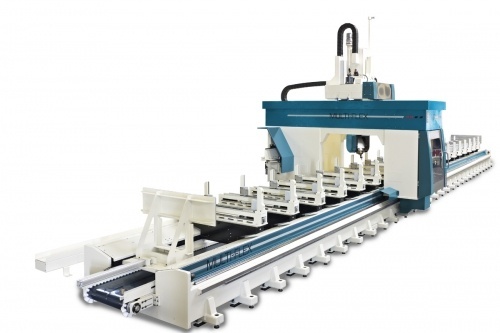 The machine can handle workpieces and profiles from 10 up to 30 m.
The Alu-Flex is an ideal machine for finishing aluminium profiles nested over a full bar length. 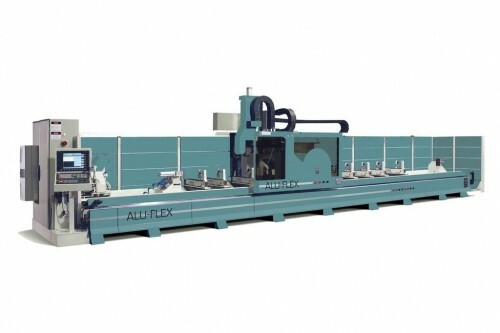 The Alu-Flex is a Gantry machining center with a 4-axis milling motor of 12 kw, a tool turret of 12 places and mitre saw unit. 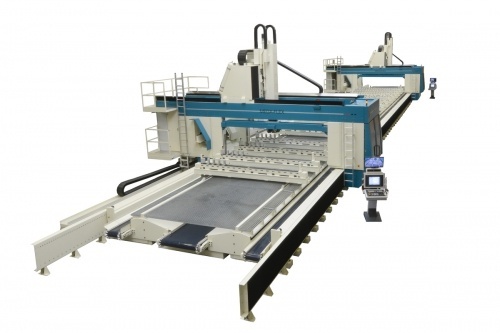 A CNC vertical machining center for aluminum body beams, side beams and other long thin workpieces for railway passenger cars, high-speed trains, subway cars and others. 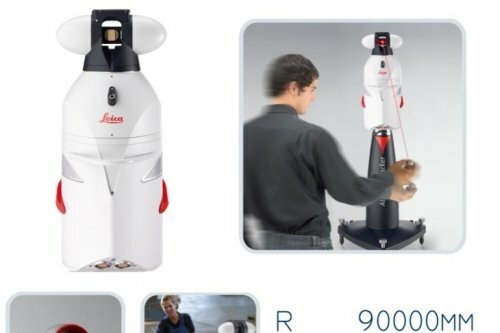 Milling, boring, drilling, tapping and sawing with one time clamping! 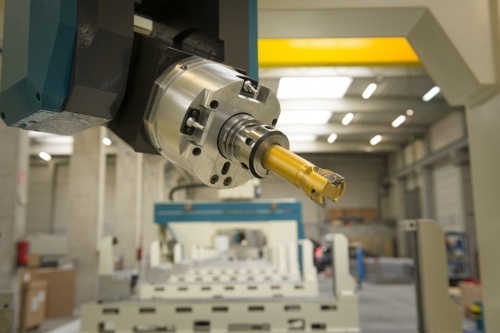 Mubea Systeme was acquired by the Haco Group S.A. in 1996, this completing its offering of multi-purpose metal working machines. 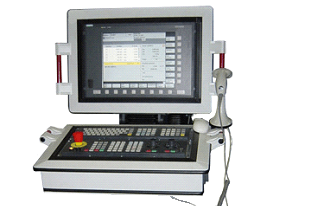 Mubea Systeme combined the knowledge form the profile industry with the HACO metal & wood industry. 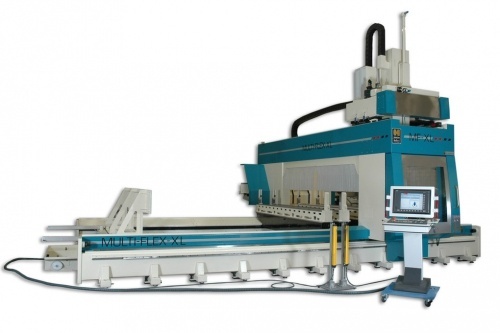 Mubea Systems offers a complete range of 5-axis CNC machining centres, specially designed for automatic tooling of exceptionally long aluminium profiles and panel profiles (e.g., aluminium profiles that are laid next to, and welded to, each other to construct a large floor for a train). 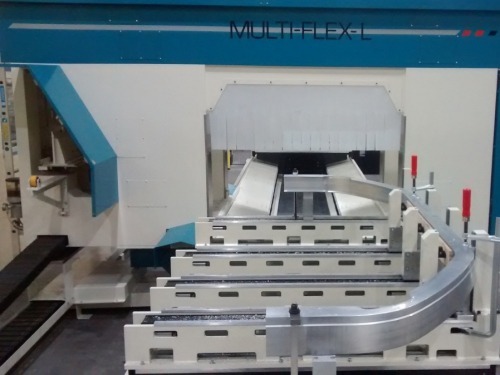 Mubea Systems recently built a High Speed Machining Center for an important customer in the aviation industry. 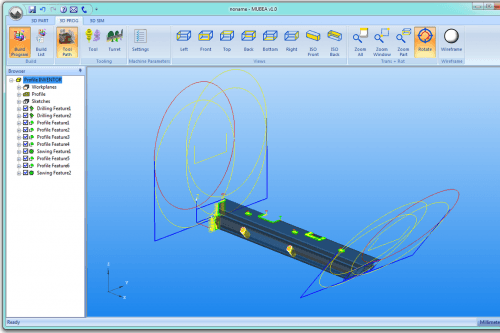 The MegaFlex High Speed will be used to machine Aircraft Structural Frames. 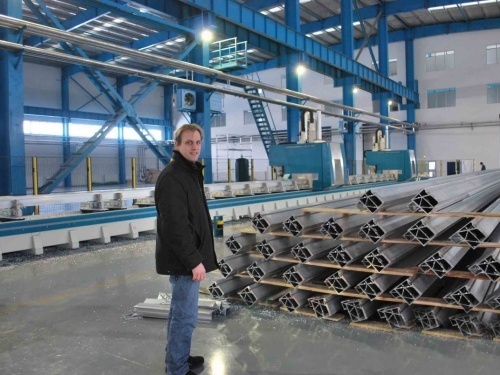 MIDAS manufactures a wide variety of large-section and high-precision aluminium alloy extruded products which are primarily used in the body frames of high-speed passenger trains and metro trains. 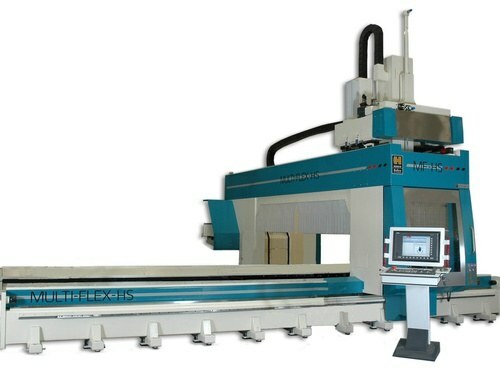 The Mubea Profile Machining Centers machine the profiles to high-precision products! 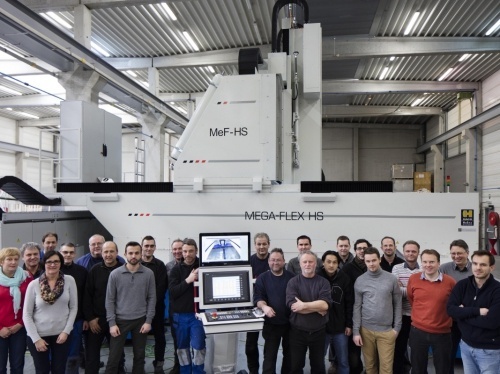 Sjoelund, specialised in bending aluminium extrusions, has invested in a Mubea Multi-Flex profile machining center. 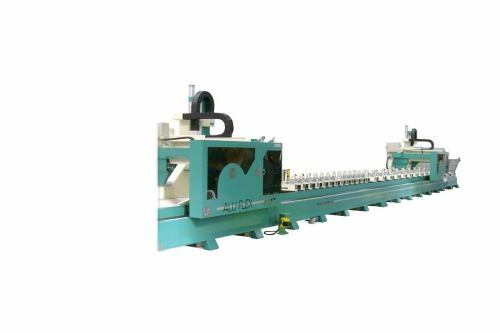 After bending and heating the aluminium profile, the Multi-Flex measures and machines the bended profiles. 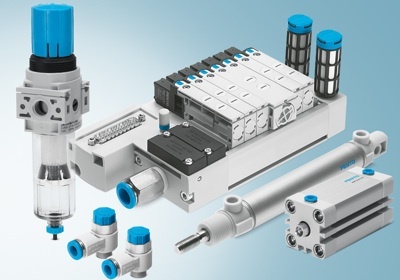 From small standard extrusions to extrusions for windows and facades as well as the most complex profile cross-sections for use in buses and trains.